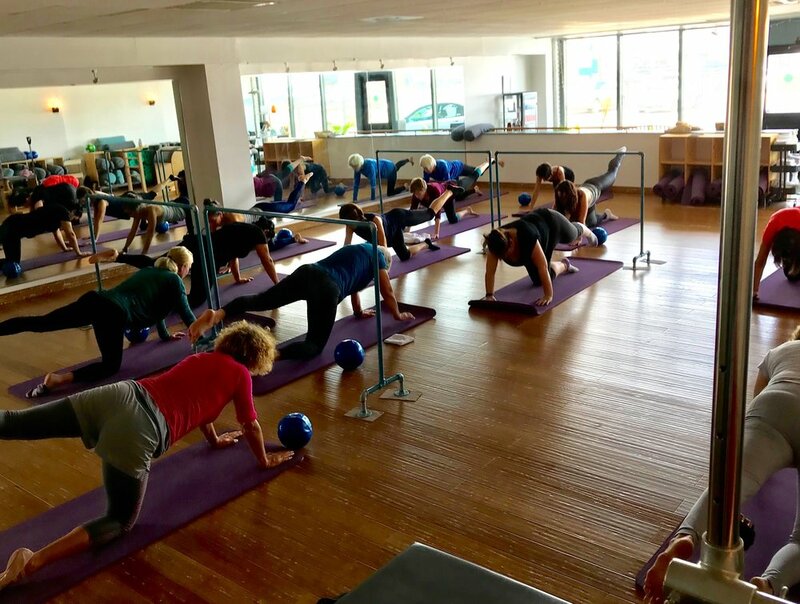 SyntheCore Barre Class: 55 Minute Class. Open to all levels. Half socks must be worn and can be purchased at studio. 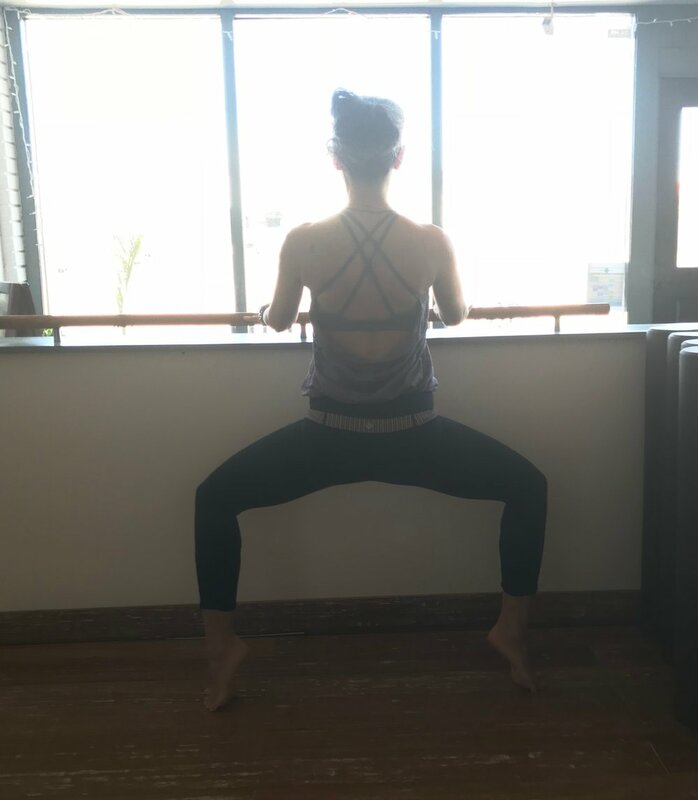 Classical ballet barre exercises to promote proper posture, toning and flexibility. 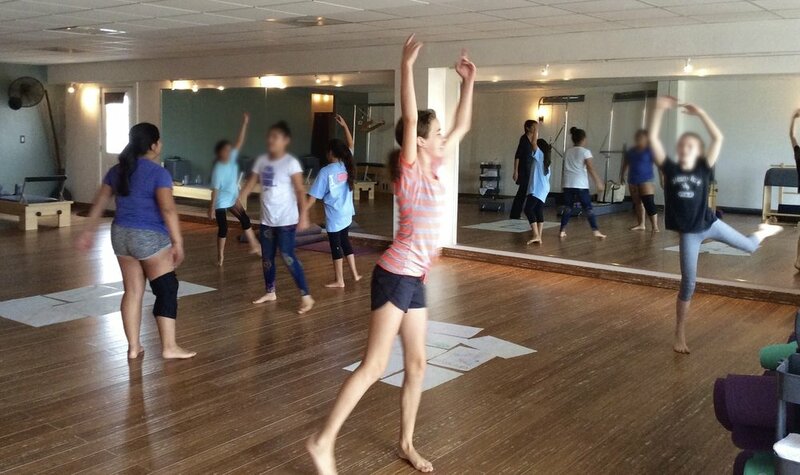 The class will have calisthenics, yoga & Pilates exercises sprinkled throughout. $15 Single class or $110 Class Card. Pilates Arc Class: 55 Minute Class: This is a new 8 person class using the Balanced Body Pilates Arc. Like all Pilates classes this is a core focused class with the bonus of mindful ribcage mobility, chest openers and deep breathing to name a few. At this time registration is week by week and can be done by email or in person. If class is missed it will be deducted from 10 Class Card. Registration is confirmed when payment is accepted. Checks and credit cards accepted. Those enrolled in a class must re-register 2 weeks prior to next month. Open Registration will be 1 week before start of month. Minimum 24 hour notice of your missed Group Reformer/ Tower class must be given to be eligible to Make-Up your class at a later date. Make-Up Class is not transferable & must be done within 4 months while being registered for the month. 1) You can attend another Group Reformer/ Tower class provided space is available and spot is confirmed. 2) In lieu of your missed class you can attend a Pilates Mat class, Yoga class or Barre class. Class must be paid for prior to scheduled appointment. 24 hour cancellation policy must be signed prior to session. Price of class will be charged for late cancellation.